This Dock Plate Hook is 32" long with a 4" wide handle and 3/8" steel stock. It is a very versatile and handy tool to have for many applications. It is great for maneuvering skids that are out of reach or at awkward angles. It also allows dollies to be pulled around easily and with more control. It can also be used as a fifth wheel pull hook to prevent injury and keep you away from grease. 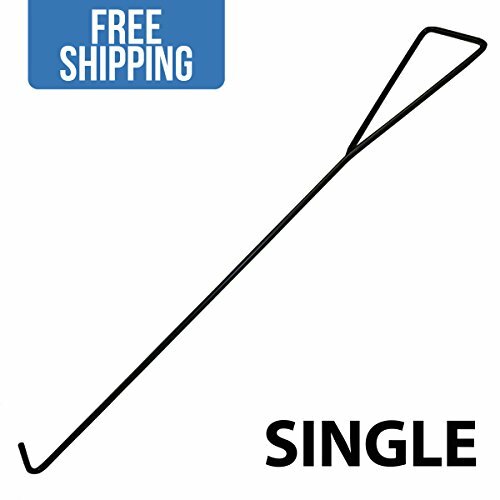 Great for use as a 5th Wheel Pull Hook! Great for use when moving Dolly's around! If you have any questions about this product by Shippers Supplies, contact us by completing and submitting the form below. If you are looking for a specif part number, please include it with your message.